Ten Thousand Trees: Tree climbed by one million people! climbing the gloucester tree, originally uploaded by badjonni. 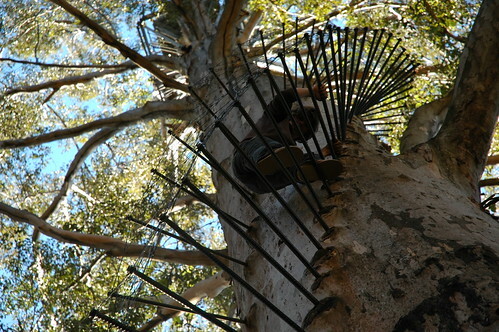 The Gloucester tree in Western Australia is a 200+ foot (61m) tall three that people have been climbing since 1946 with the aid of a spiral peg stair system that was originaly set up so that as a watchtower for fires. 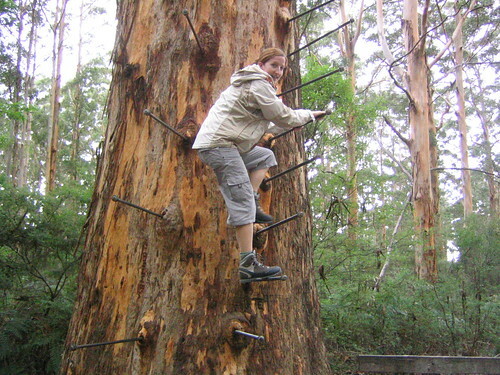 This famous tree tourist attraction is a Karri(Eucalyptus diversicolor) tree. South West Coast, originally uploaded by Phillie Casablanca.